Ack! I almost missed it! 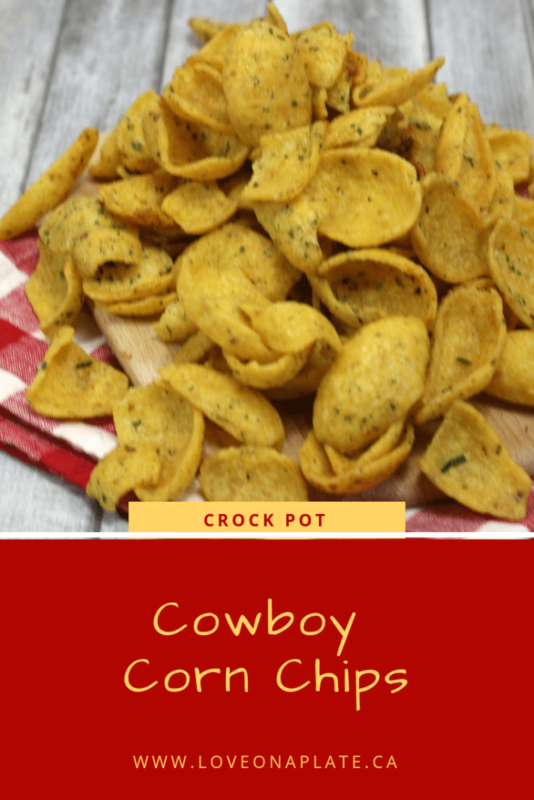 I’ve had this addictive Cowboy Corn Chip recipe waiting to post, and I almost missed it! January 29th is National Corn Chip Day, yep, sure is. It find it entertaining trying to keep up with all the fun food holidays, so humour me, I know it’s a little silly. What’s not silly is how good these Cowboy Ranch Corn Chips are! The are in fact ridiculously good, it’s crazy considering how easy the are to make. Even better? Only FOUR ingredients, and two of them are spice mixes I always keep on hand. I use my homemade Ranch Dressing Mix, and Cajun seasoning but you can definitely use store bought too. Remember, I don’t judge! 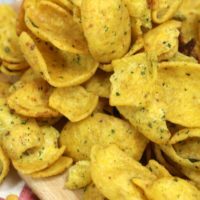 You can eat these Cowboy Corn Chips plain, (maybe with a nice cold beer?) or use them to dig into my Jalapeno Artichoke dip. A great casual chip and dip combo that’s popular for card night, pot lucks, and any Sports night. Teenagers will devour this, so make a big batch. If you want more Great Recipes, Meal Plans, Quick Cook Videos, Live Streamed Meal Preps and all things food, I have the answer. Join us over on the Love on a Plate Community Group, it’s a great group. Prep a 5-quart crock pot by spraying the crock pot bowl with cooking spray. Pour the bag of corn chips in the prepped crock pot. In a medium sized bowl combine the melted butter, ranch dip, and Cajun spice. Pour the combination into the crockpot with the corn chips. Stir well to make sure that all of the chips are coated with the melted butter mixture. Cook on high for 2 hours, uncovered. Prep a cookie sheet by lining it with wax paper to cool. If there are any leftovers store them in an airtight container. Don’t forget to grab my two homemade spice mix recipes. 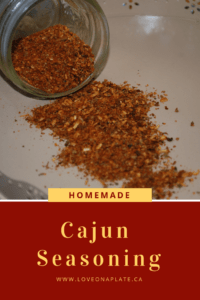 Cajun Seasoning and Ranch Dressing Mix. They are much lower in sodium and I use them in many recipes instead of store bought.